Each year, ITA is fortunate to have a variety of talented clinical and administrative interns join our team. Our interns come from all over the world to share their experience and talent with our organization. We are always looking for motivated, driven, and creative individuals who are passionate about the creative arts therapies and the work done by ITA. Learn more about the variety of internships that we offer at ITA as well as information on how to apply: www.itachicago.org/training. Crystal Manjarrez is a new Administrative Intern at ITA. She is currently a senior at Northwestern University where she is majoring in Psychology and minoring in Latinx Studies. 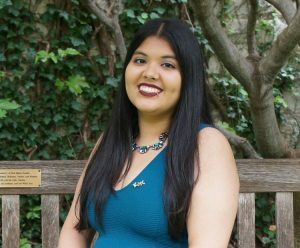 On campus, she is involved in a Latinx community service sorority and a social psychology lab. She is excited to explore and learn about different types of therapies and treatments while also learning about how non-profits function. Crystal’s personal interests include plants, animals, reading, painting, and meditating. 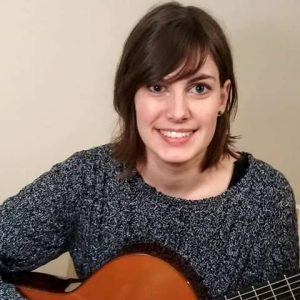 Studying guitar from the age of 8, Gabrielle nurtures a deep love and respect for music as not only a skill and process, but also as a means of expression and a way to connect to others. Growing up and studying at the Fox River Academy of Music and Art, she graduated with a Bachelor’s in Music Performance from Northwestern University, studying under Anne Waller and performing in the master classes of Hopkinson Smith and Oscar Ghiglia. She’s excited to learn how art therapy nurtures creativity, expression, and personal strengths and begin her internship at ITA!